Minister in the Presidency: National Planning Commission of the Republic of South Africa since 11 May 2009 and Member of National Executive Committee (NEC) of the ANC since 1991. 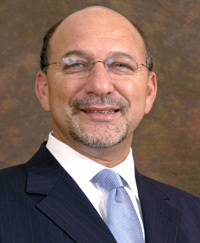 Trevor Manuel was born in Kensington, Cape Town. His father, Abraham Manuel, worked for the Cape Town City Council. Manuel attended Harold Cressy High School and matriculated in 1973. He moved on to work for a construction company for nearly 8 years. He was promoted to civil engineering technician, but decided to resign from his position in 1981 to volunteer as a community organiser for the Cape Areas Housing Committee (CAHAC). He was also appointed as a field worker for the Education Resources Information Centre (ERIC), a literature supplier to community organisations, in March 1982. As a young boy Manuel was exposed to the negative aspects of the apartheid regime when his Black neighbours were forced to move from Kensington to Gugulethu. He became politically active in 1969, when he joined the Labour Party Youth with the blessing of his father, but left the organisation as a result of peer pressure. He also felt that the Labour Party's participation in the Coloured Representative Council was unacceptable. In his matric year Manuel was influenced by students at the University of the Western Cape and developed a view in line with Black Consciousness principles. In 1974 Manuel became involved in the mainly Catholic, Young Christian Workers (YCW). The group concerned itself with worker related issues. He was working for a construction company by then and came into contact with employees from the Ciskei. He visited his co-workers in their hostels and learned about the economic and social situation in the homeland. This had a great influence on him and in 1975 he spent 10 days in Mgwali, a Black area, in the Eastern Cape. The following year Manuel served on an action committee against bus fare increases. The initiation of a bus boycott was unsuccessful and the youth group disbanded as a result of internal political disagreement. This was followed by a brief period of participation in an adult literacy project for migrant workers. In 1976 Manuel did support work during the Soweto Uprisings. He helped raising bail and finding legal help for the arrested. 1979 saw Manuel involved in the publishing of a community newspaper called Kenfacts. He served on the editorial committee of Grassroots, a newly launched newspaper, and also joined the Kensington/Factreton Tenants and Ratepayers Association, which organisation played a supporting role in the 1980 school boycott. During this period he also played an important role in the bus boycott because he was one of the few activists that was not detained. From here Manuel moved on to become a member of the steering committee for the Umbrella Rentals Committee. This group had been established to co-ordinate protests against rent increases in various communities and was later changed to the Cape Areas Housing Action Committee. Manuel was elected secretary of the organisation. He remained involved in housing issues and attended the 1983 Anti-South African Indian Council Committee conference in Johannesburg. Here the idea of a united democratic front against the Koornhof Bills and the proposed new constitution was presented. Manual was involved in the founding of the United Democratic Front (UDF) and was selected as secretary of his area. Soon afterwards he was elected to the UDF national executive. The number of political arrests increased rapidly in the next few years and in 1985 Manuel went into hiding. He was, nevertheless, arrested and detained under the Internal Security Act from 22 October 1985. On 15 November he was banned from attending any meetings until 30 August 1990. Manuel was released on 21 November, but his movements were severely limited as a result of his banning order. The order was overturned and the ban lifted on 25 March 1986 and Manuel recommitted himself to the fight against apartheid. Due to his political activities he was again arrested on 15 August 1986. Initially held at the Sea Point police station, he was soon transferred to the Victor Verster Prison near Paarl. Manuel was detained for more than a year and was released on 7 July 1988, only to be rearrested on 21 September. This time he was kept a Pollsmoor Prison and released, under heavy restrictions, on 17 February 1989. He was under house arrest during the night, had to report to the Athlone police station twice a day and was limited to the Wynberg magisterial district. In August and September 1989 the Mass Democratic Movement organised a defiance campaign to correspond with the general elections. Manuel decided to disobey his banning order to speak at a press conference in Athlone on 2 August and was arrested by the end of the month. This time he was held at Grootvlei Prison near Bloemfontein in the Free State. He was released on 26 September. During this period Manuel was employed as a projects and policy developer for the Mobil Foundation in Cape Town. When the African National Congress (ANC) was unbanned in 1990 he was appointed as the organisation's deputy coordinator in the Western Cape. His responsibilities were to help establish an office and other structures in the region. At the first regional conference in the province he was elected as publicity secretary and in 1991 became a member of the ANC's national executive and national working committee. He represented the organisation at the National Peace Committee, established in terms of the National Peace Accord in 1991. In 1992 Manuel became the head of the ANC's Department of Economic Planning. Due to the fact that he lacks formal education in economics he had to rapidly become familiar with key issues. He helped to develop the ANC's economic policies while considering input from private business, trade unions and the ANC electorate. He also served as a member of the ANC committee handling socio-economic reconstruction and development. In the first democratic elections in 1994 Manuel stood as an ANC candidate and was appointed as a Member of Parliament. In May he became Minister of Trade, Industry and Tourism. In 1996 he was appointed as Minister of Finance, a position he still holds. In 2004 the Democratic Alliance conducted a review of Ministers in its position as main opposition to the ruling party, the ANC. Manuel emerged as the top performer with a score of 8/10. • Gastrow, S. (1995). Who\'s Who in South African Politics, Johannesburg: Ravan.